Kannur University was established by the Act 22 of 1996 of Kerala Legislative Assembly. The University by the name "Malabar University" had come into existence earlier by the promulgation of an Ordinance by the Governor of Kerala, on 9th November 1995. The University was inaugurated on 2nd March 1996 by the former Hon. Chief Minister of Kerala. The objective of the Kannur University Act 1996 is to establish in the state of Kerala a teaching, residential and affiliating University, promoting the development of higher education in Kasargod and Kannur revenue districts and the Mananthavady Taluk of Wayanad District. School of English and Foreign Languages, Kannur offers various graduate courses as well as Post Graduate courses. 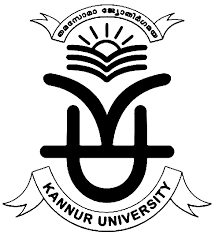 School of English and Foreign Languages, Kannur is affiliated to Kannur University, Kannur. List of facilities available at School of English and Foreign Languages, Kannur for students. Generations of past students, both male and female, are proud to be known and enjoy maintaining their connection with the college and each other. Please write to [email protected]r.com with link of existing almuni group, or request for creation of group.